Cholesterol Lowering Drugs for Kids? The American Academy of Pediatrics issued a new recommendation on Monday that statin medications should be used in some children to help prevent heart attacks later in life. And many pediatricians are furious at the Academy for making this recommendation. High cholesterol, even when it runs in the family, can be lowered to a level that reduces heart attack risk..without taking a statin drug. There is also no proof that statin medications prevent heart attacks in children. And even in adults, we know that people who take statin drugs get heart attacks and people who do not take statin drugs get heart attacks. Furthermore, statin medications deplete the body of heart protective nutrients such as CoQ10. They also block the formation of essential hormones that are important for lifelong health. As a doctor who treats children, it is concerning that the Food and Drug Administration approved the use of a statin medication, Pravachol, in children without evidence of the safety of using the medication at a young age, before the hormone system has fully matured. Remove ALL trans fatty acids from the diet. This involves reading labels and looking for the words “partially hydrogenated oil,” “hydrogenated oils,” or “trans fatty acids.” Even if the label says “zero trans fats” there can still be trace amounts found in the product. So read the ingredient list before offering the food to a child. Hydrogenated fats increase your risk for heart disease and heart attacks and also damages blood vessels. Include one serving of raw vegetables or fruits in every meal. When you look at a child’s plate, there should be something raw on that plate- whether it is apple slices, salad, carrots, or any other raw fruit or vegetable that the child will eat. Teach children how to handle stress in a healthy way. Set aside one hour of stress-relieving activity per day-through quiet time away from computers, TV and video games. Activities such as yoga, playing with an animal, or spending time in nature are all proven methods to relieve stress. Have your child evaluated for nutritional deficiencies by a licensed Naturopathic Medical Doctor. Nutrient deficiencies like Vitamin D3 and Omega 3 Fatty Acids can increase a child’s risk of heart disease. This entry was posted on Wednesday, July 9th, 2008 at 8:00 am and is filed under Childhood Nutrition, Diet and Disease, Latest Nutritional Research, Naturopathic Medicine, Prevention. You can follow any responses to this entry through the RSS 2.0 feed. You can leave a response, or trackback from your own site. 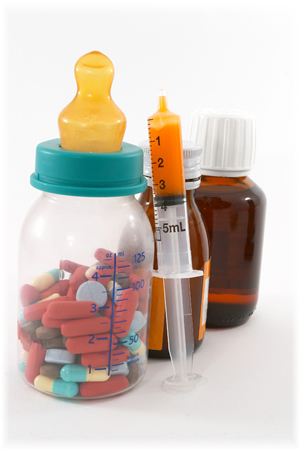 3 Responses to Cholesterol Lowering Drugs for Kids?